Woah, it’s been a whole four months since I’ve done an empties round-up. One nice thing about doing hauls regularly is that I know exactly when I acquired many of the beauty products in my stash. That makes the decluttering decision process easy and non-negotiable if products are on the brink of expiration. I purged over 75 items I either used up entirely or need to toss due to expiration. It’s never too early to get a start on spring cleaning, am I right? Watch the video below and scroll ahead for a list of all of the products mentioned. Thanks for reading and watching! Can’t get enough empties? 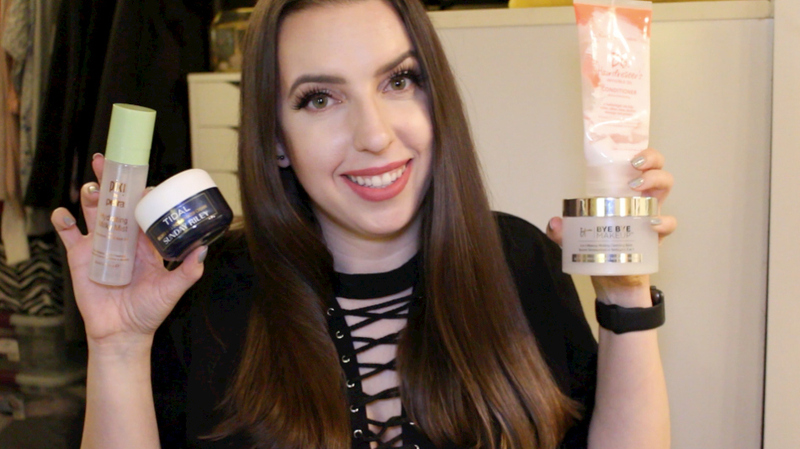 Please check out some of my other empties and the entire YouTube playlist for more “products I’ve used up” reviews. Did you finish up anything last month that you just can’t wait to repurchase? Please let me know in a comment — I’d love to check it out! Note: I received the items noted with (c/o) for consideration. 75 products? Wow! But I guess that makes sense since it’s been 4 months worth of use, plus the expired products. Cute video, Chelsea! oh my gosh I wish I had thought to do one of these videos! Genius idea! I love this just as much as I like hearing about people’s hauls! This is an AWESOME idea!!!! !